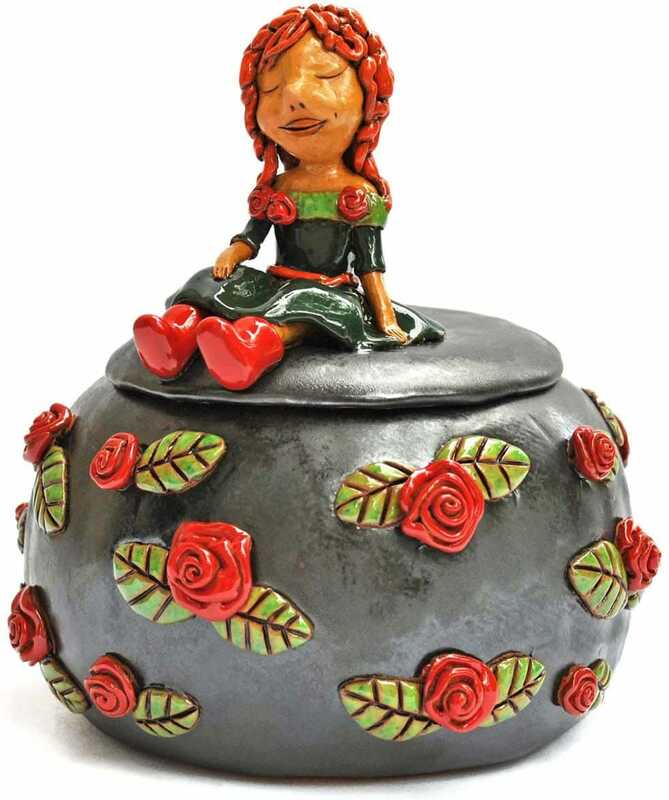 This is a hand-made ceramic bowl with a little troll girl sitting on top of the lid. 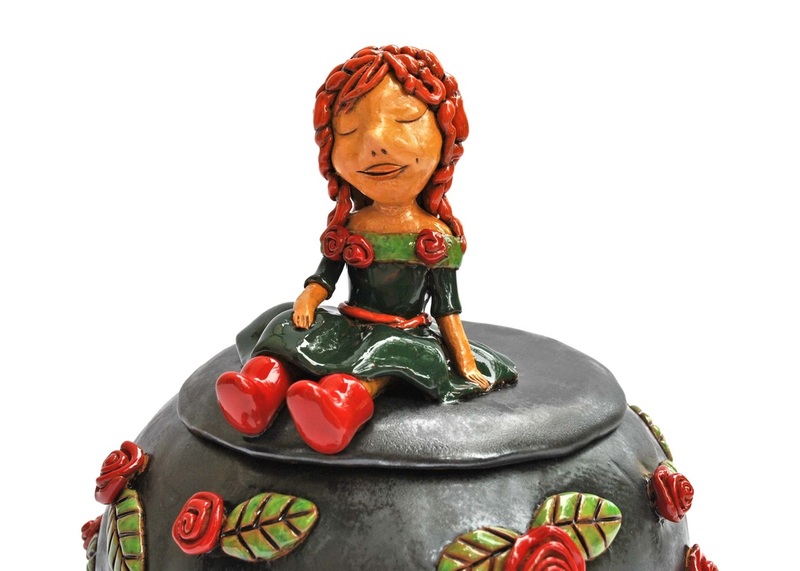 She is peacefully resting her feet in her little red boots after the daily berry picking in her home forest. The girl is wearing a troll folk dress, which is decorated with red magical roses. 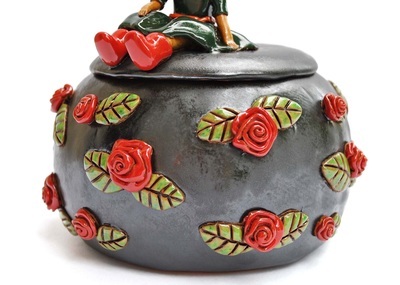 So is the bowl - each magical rose is handsculpted and carefully attached to its walls. 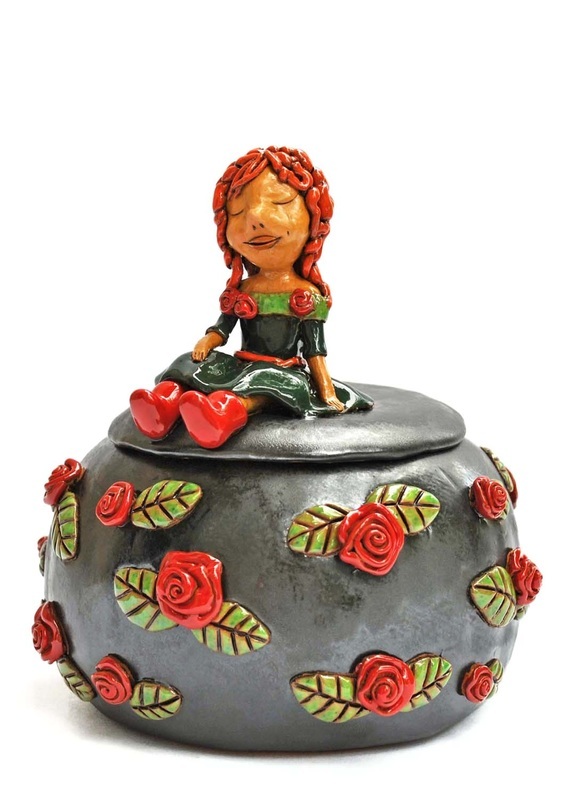 The red roses pop-up nicely in the matte black velvet glaze that gives a luring soft look and feel to it. 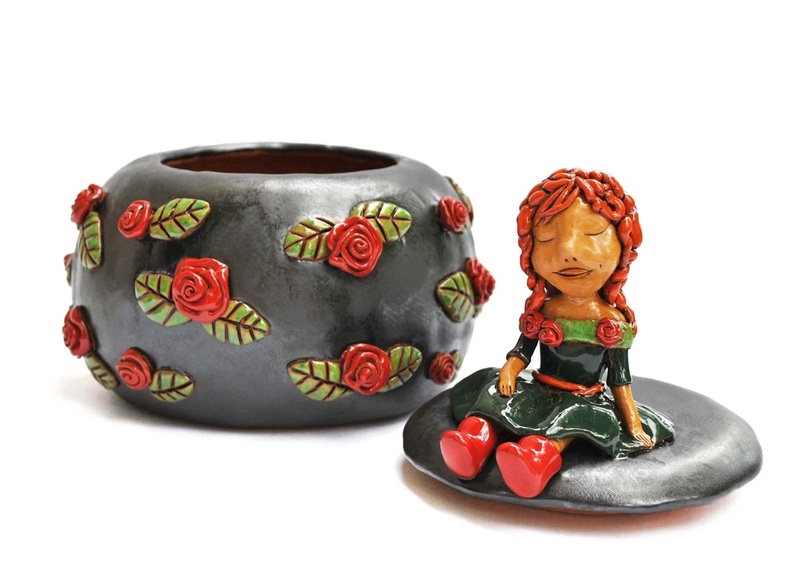 ​Standing approximately 17 cm (6.7 in) tall (including the girl) and ~14 cm (5.5 in) wide (at its widest part), the bowl offers shelter for some bits of emergency chocolate, dried berries or occasional secret treasure.